I have come to find out that religion is a funny sort of thing in Iceland. 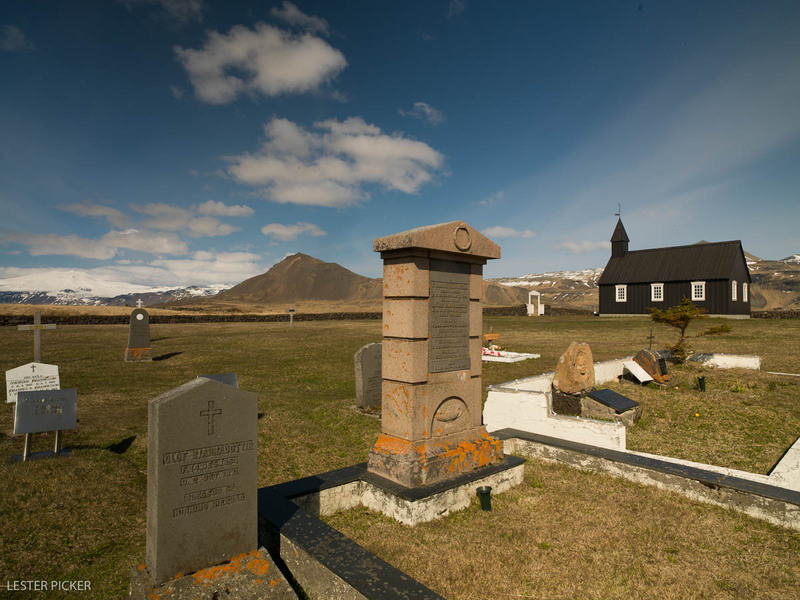 While most Icelanders identify themselves as Christian, a 2011 Gallup poll found that 60% of them do not feel religion is important in their lives. That’s one of the highest percentage of irreverent believers in the world. 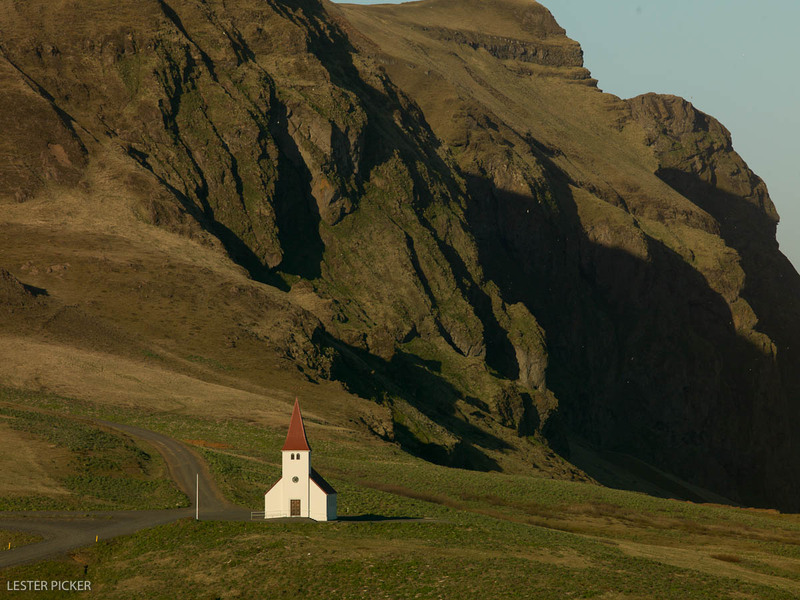 Most Icelanders are of the Lutheran denomination, although few actually attend church any more on a regular basis. Paganism, or more accurately naturism, is still practiced by many. 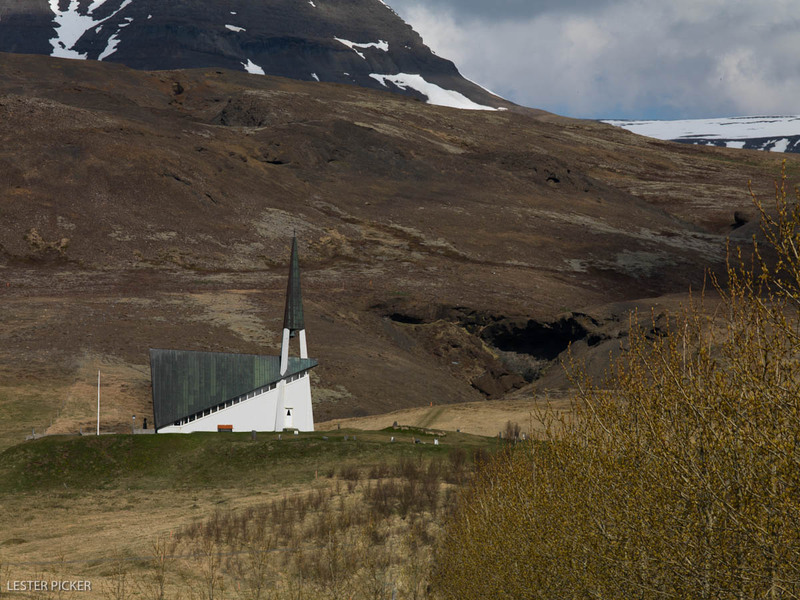 Still, Iceland is dotted with almost as many churches as waterfalls (an exaggeration, of course, since Iceland has far, far more waterfalls than churches). Most of the churches are tiny affairs, built for yesterday’s agrarian population, where family gathered to celebrate their faith. Today, these churches sit empty and may return to use a few times each year when family gathers again for holidays. Nearly every church is built in the same style; simple, trim, even austere. And while there are abandoned and tumble-down farm buildings throughout Iceland, I never once saw a church in a state of disrepair. Both church and its cemetery, always walled with stone or fencing, were meticulously maintained. Once in a while I passed a more modern rendition of a church, where the architect was daring enough to change just a roofline to achieve an effect without assaulting the Icelandic sensibility. In all cases, I have to say, I found that the church structures complemented the natural environment, adding a point-counterpoint, human-nature effect to the landscape. In any event, they were fun to photograph and I look forward to my next visit to Iceland to spend more time exploring their photographic possibilities.